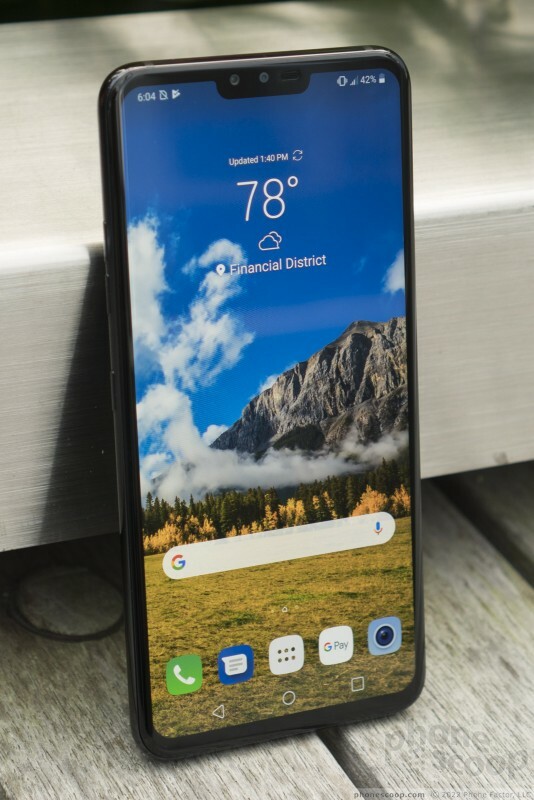 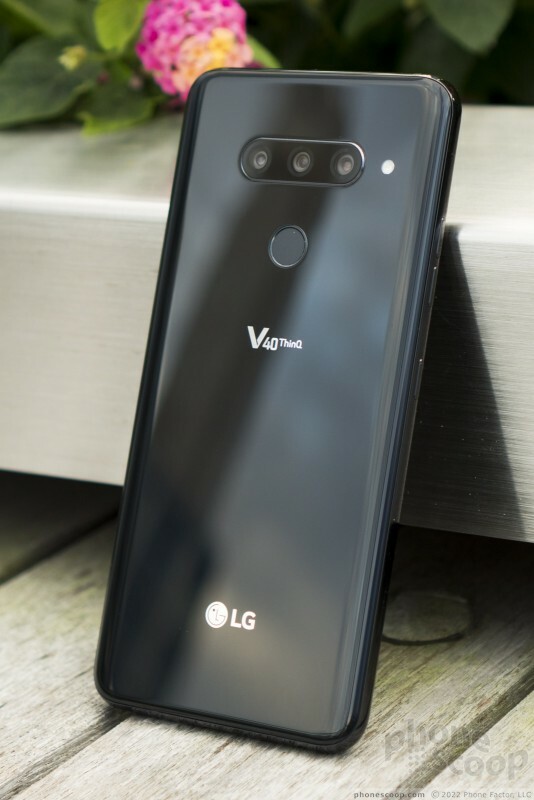 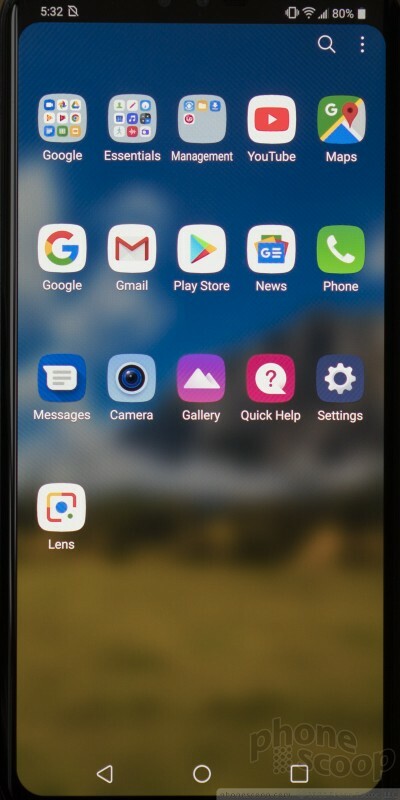 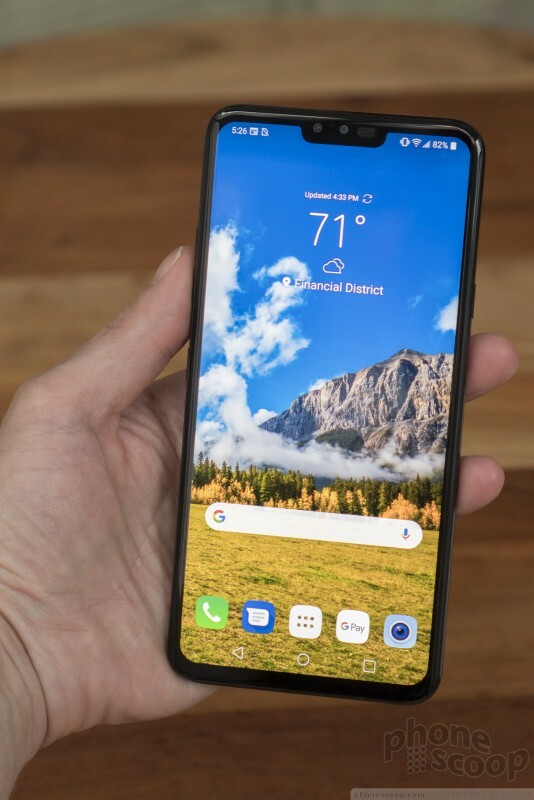 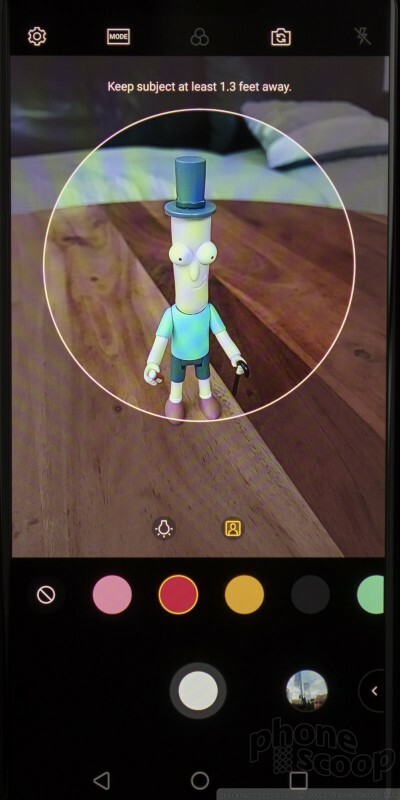 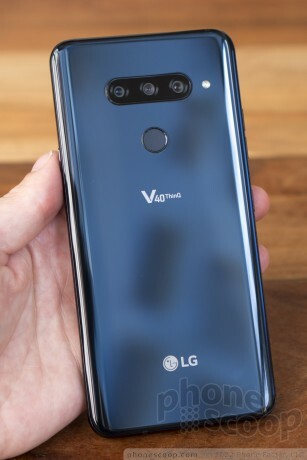 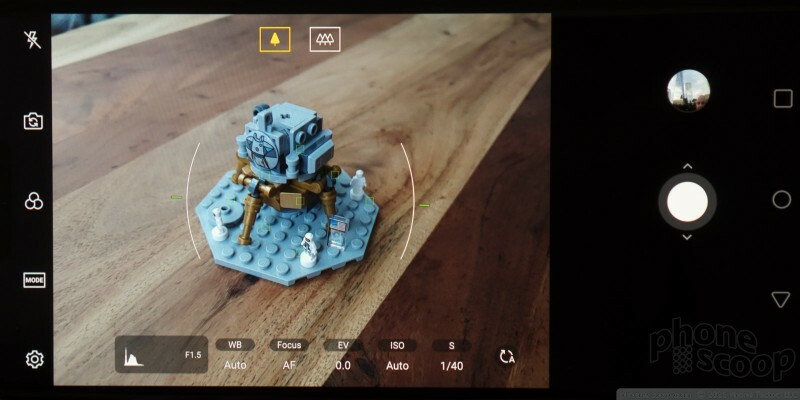 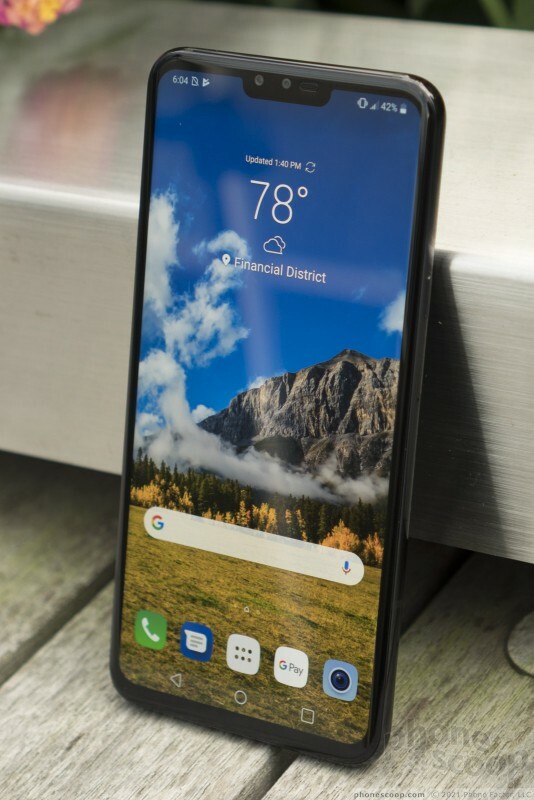 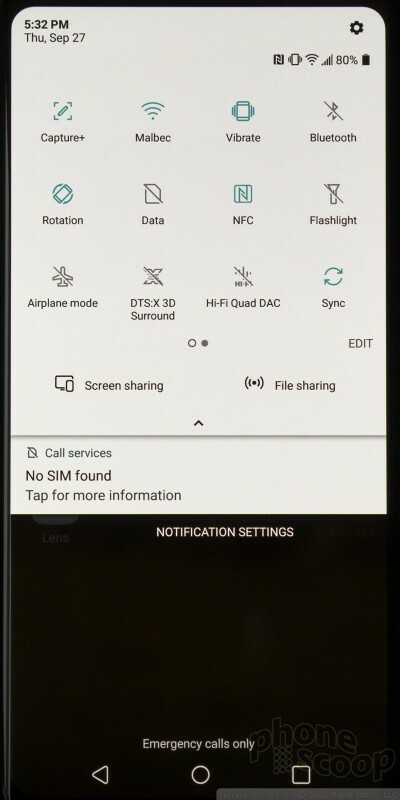 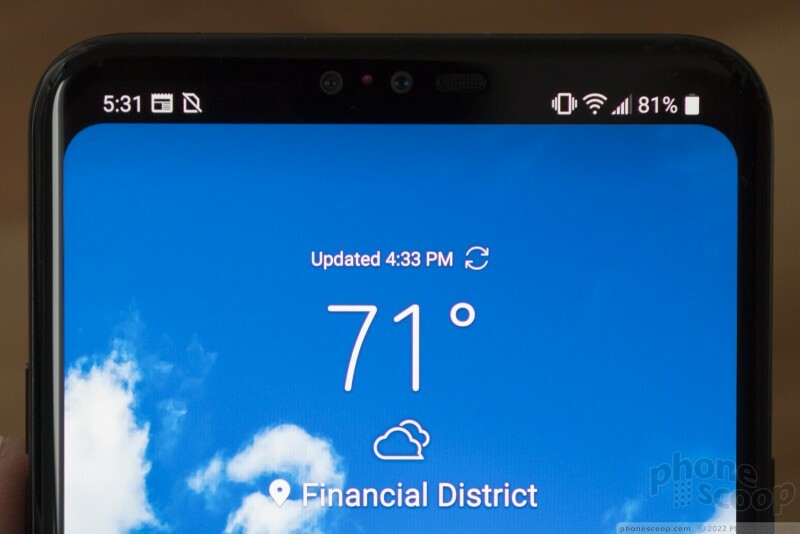 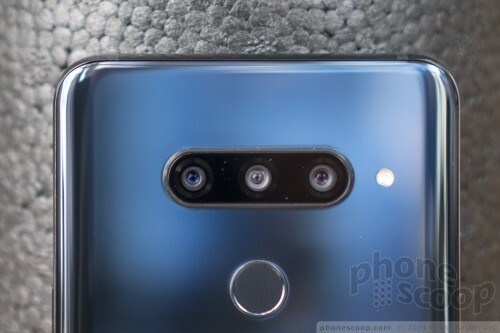 The headline feature on the LG V40 ThinQ is the five cameras, including three on the back: standard, telephoto, and wide. 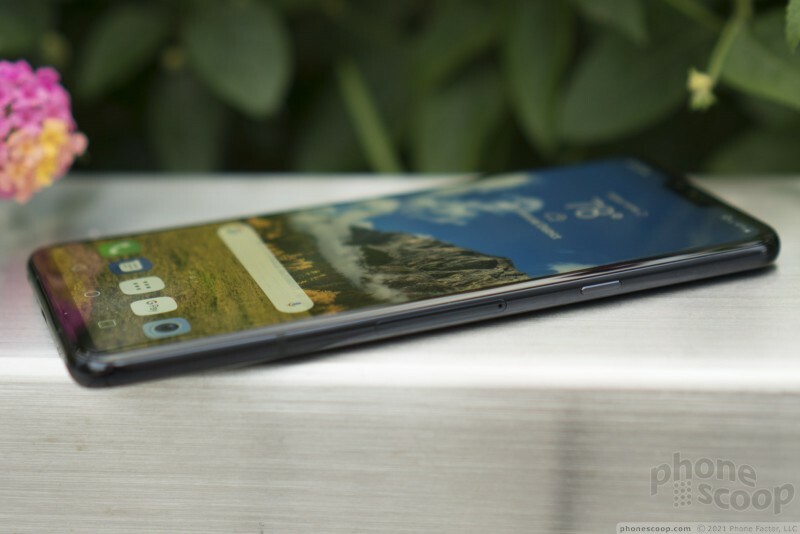 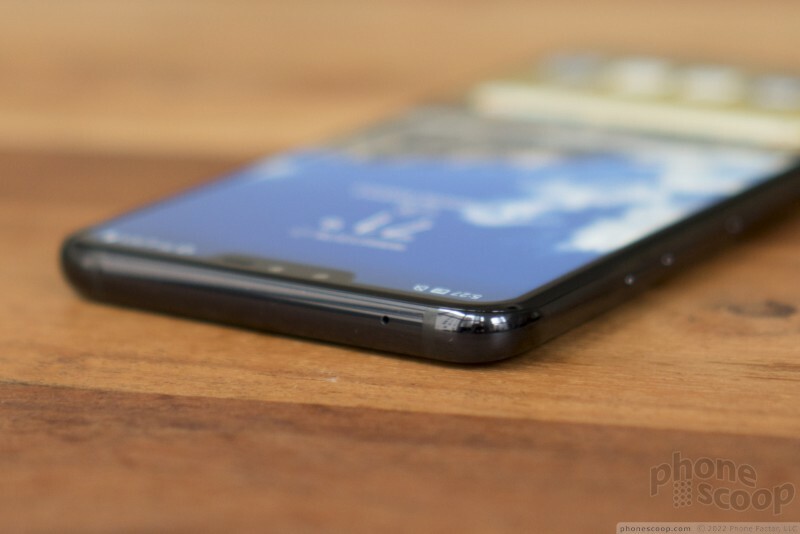 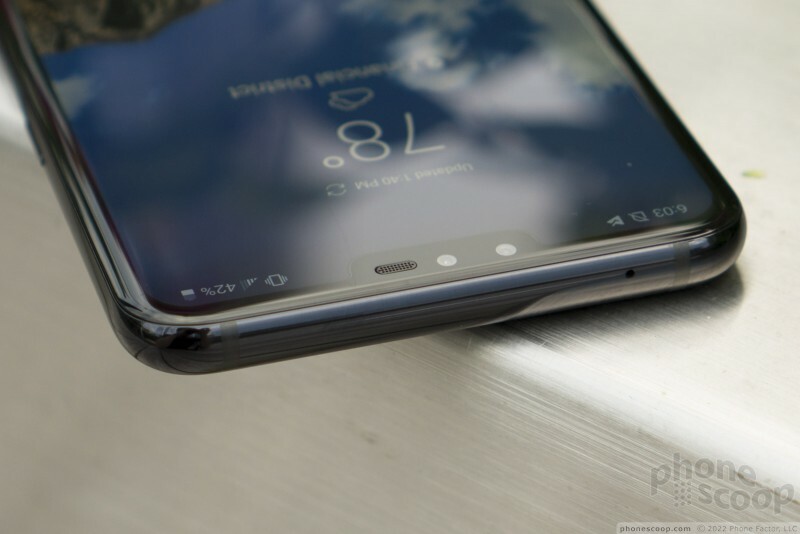 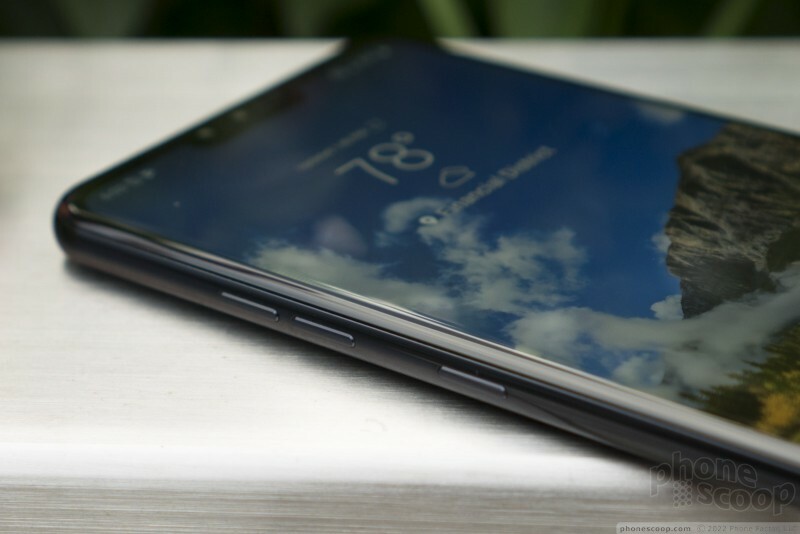 The design is similar to a lot of high-end phones these days, with a metal frame, curved glass, and an edge-to-edge screen with a notch. 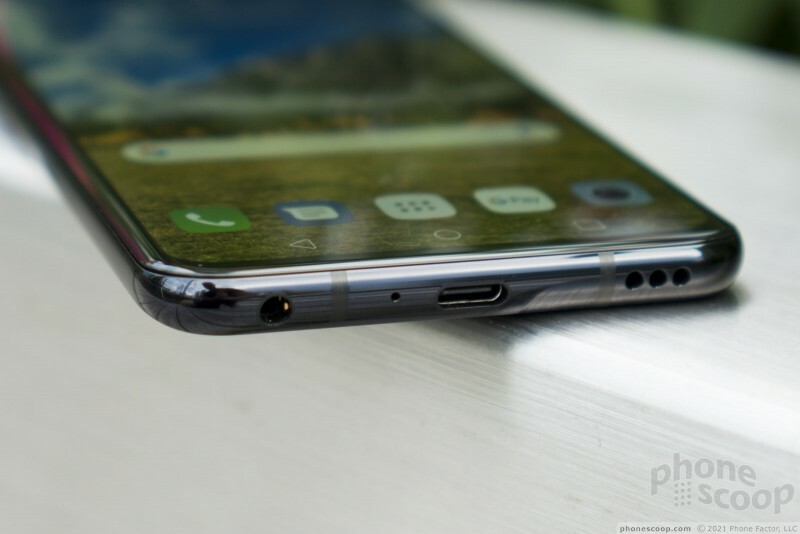 There's a 3.5mm audio jack, a rare feature now on phones of this class. 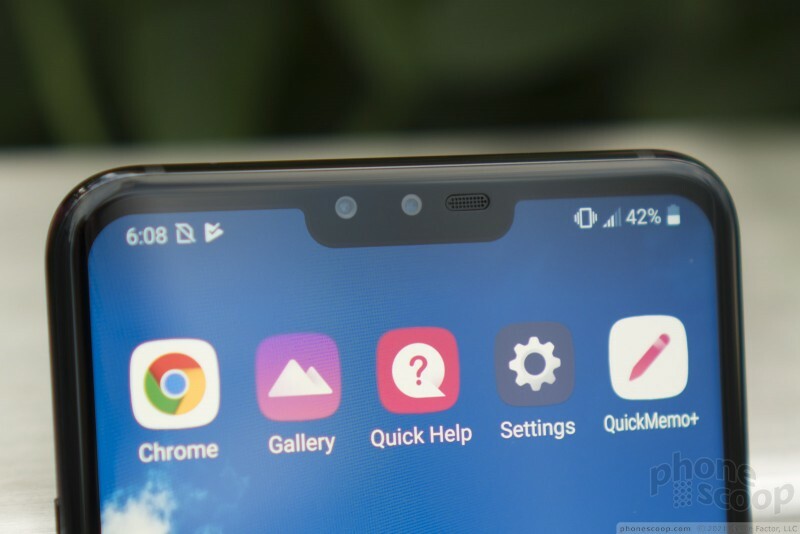 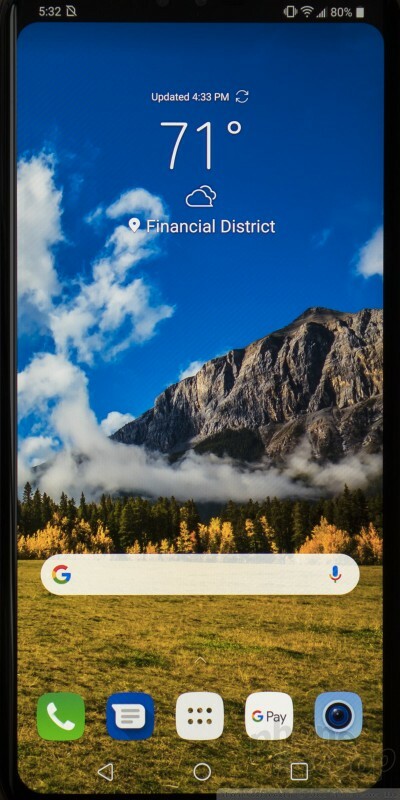 The notch contains the two selfie cameras, one of which is slightly wider-angle. 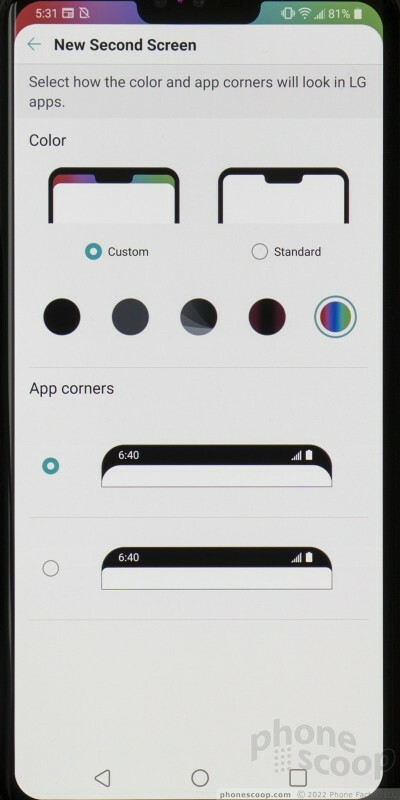 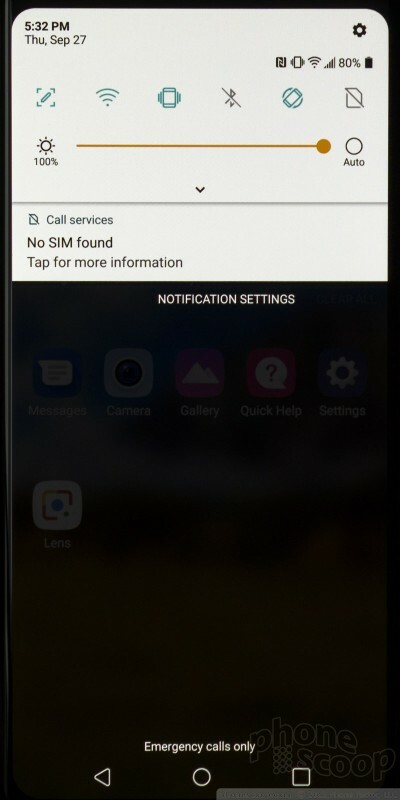 You can also customize the appearance of the interface around the notch. 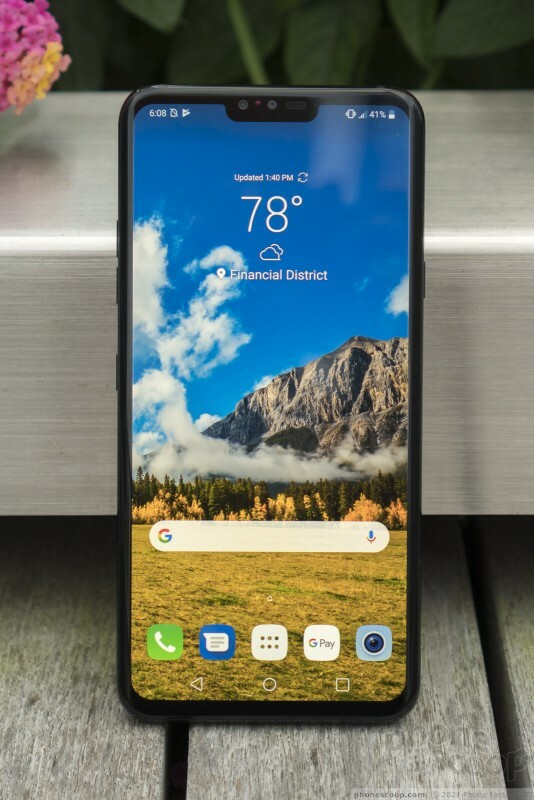 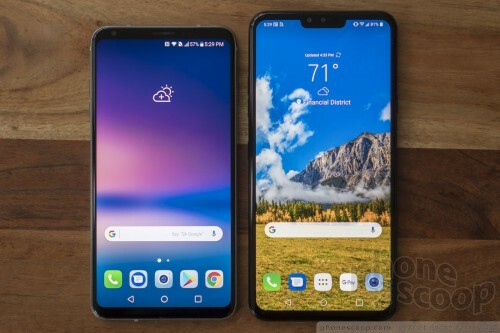 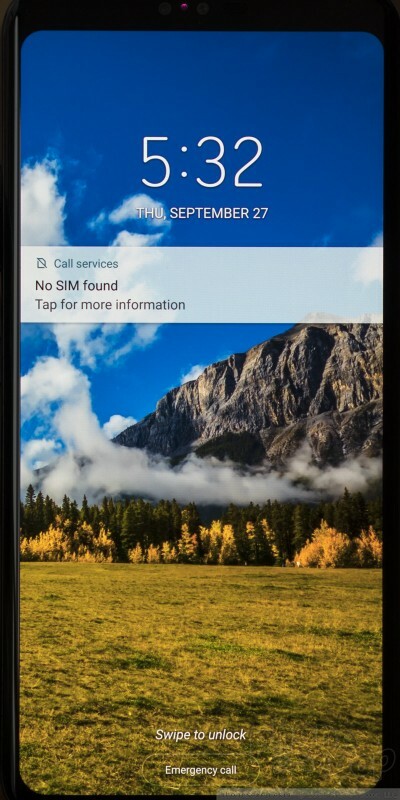 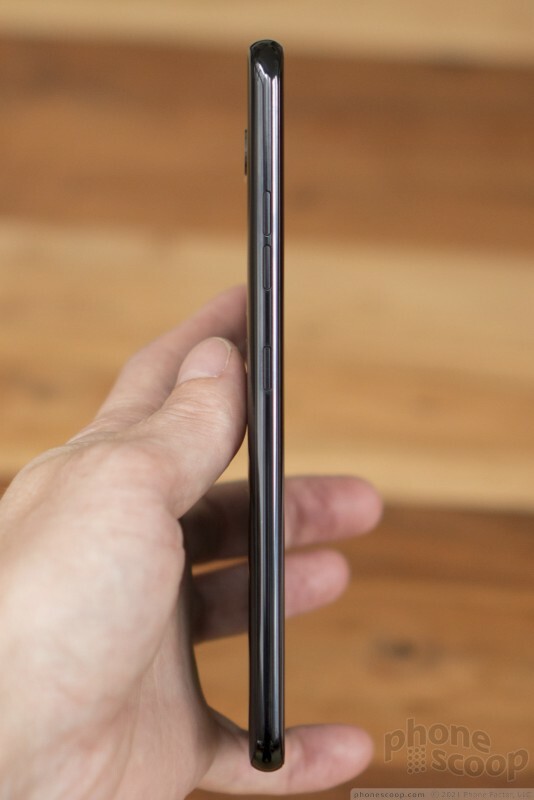 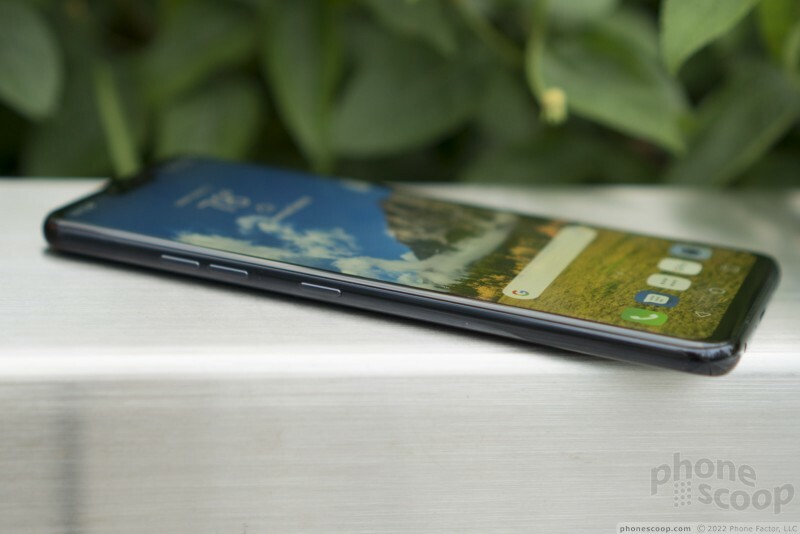 The V40 is taller than the V30 by quite a bit, making it a truly large phone. 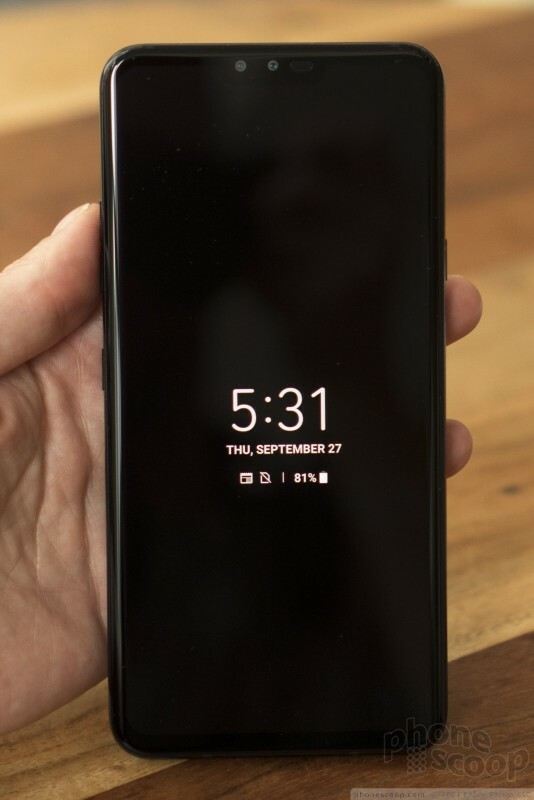 The V40 has an always-on display. 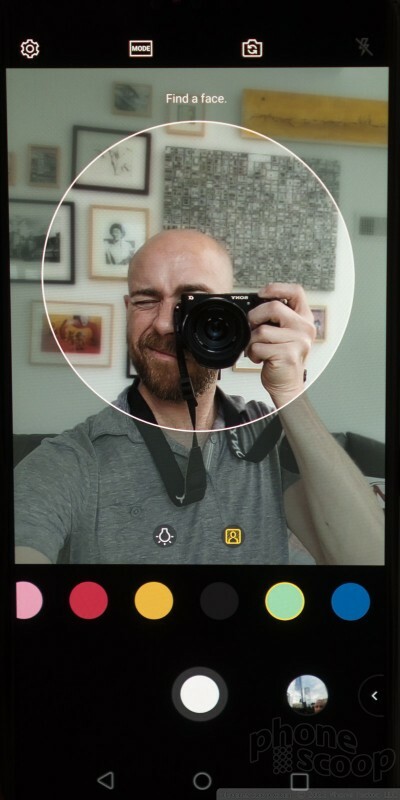 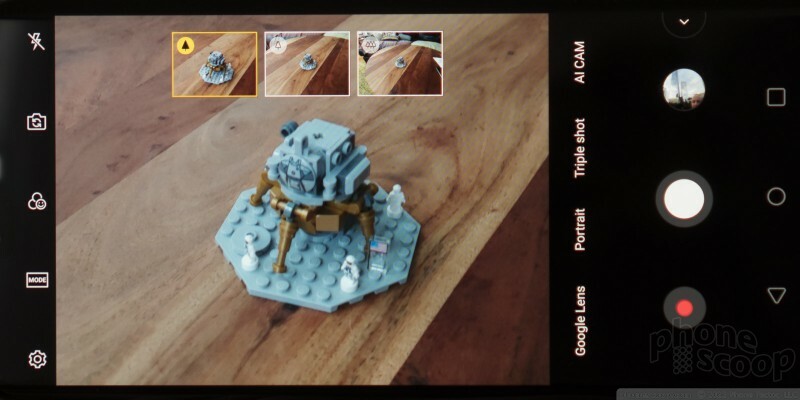 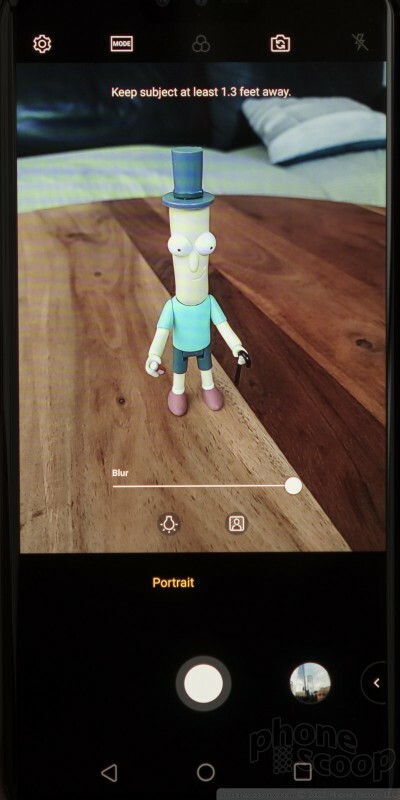 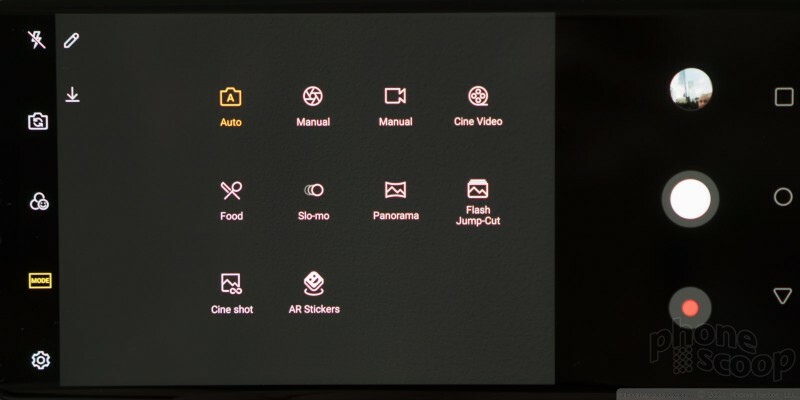 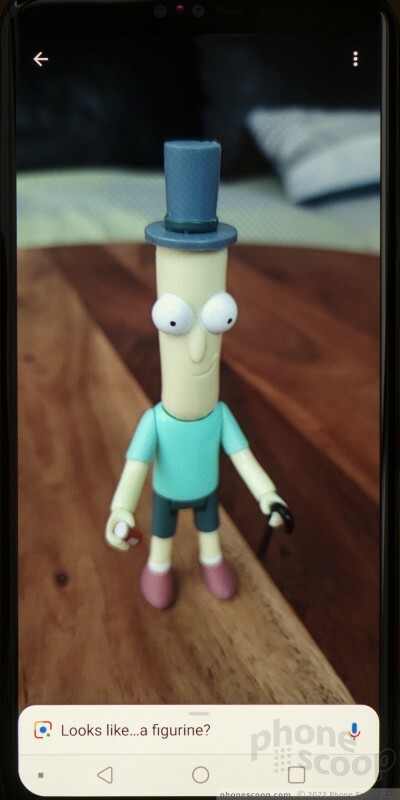 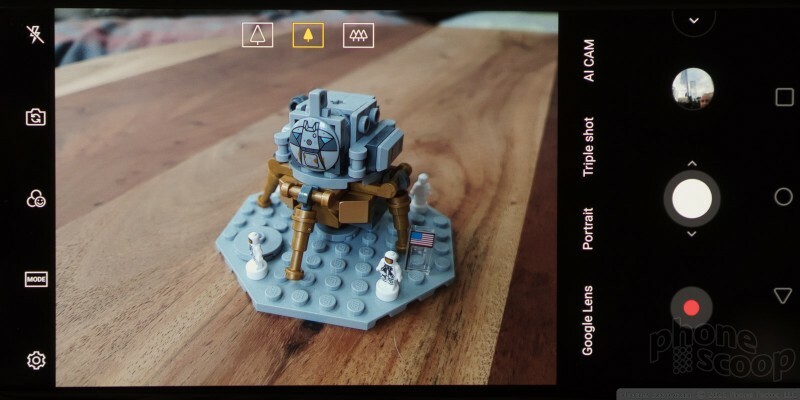 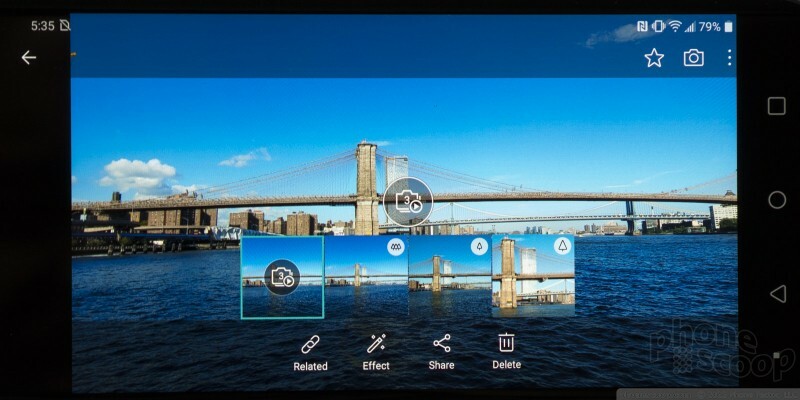 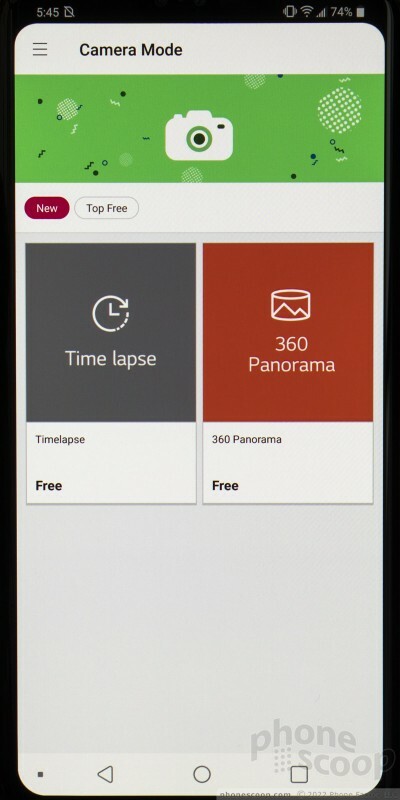 The camera app makes it easy to switch between all five cameras.